#1. 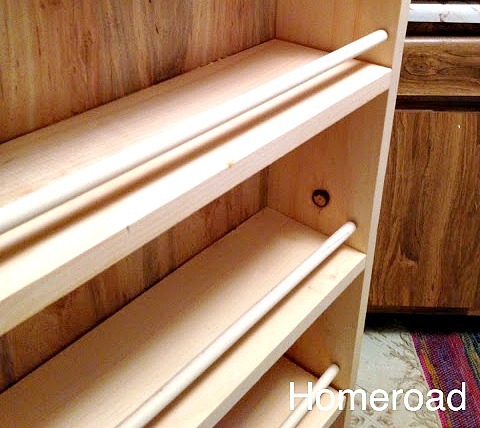 This DIY Slide-out Pantry is the perfect project for a small kitchen and it can be built in no time! I can show you how! #2. 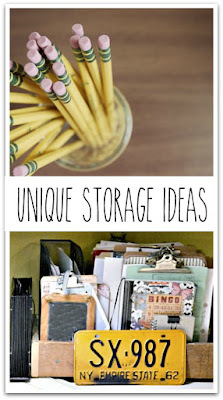 If you're looking to update the storage solutions in your craft room or office then this one is for you! 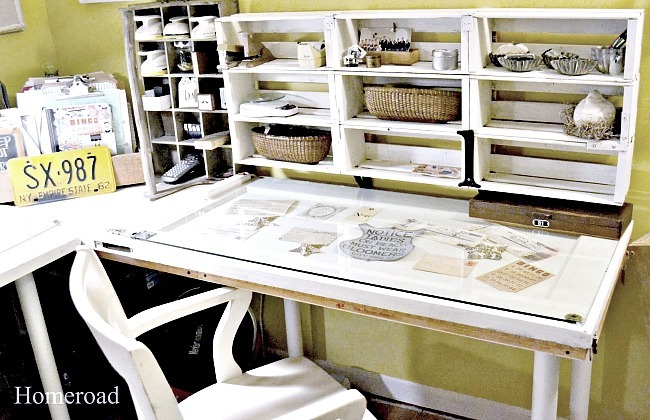 Easy and Unique DIY Craft Room Storage. #3. 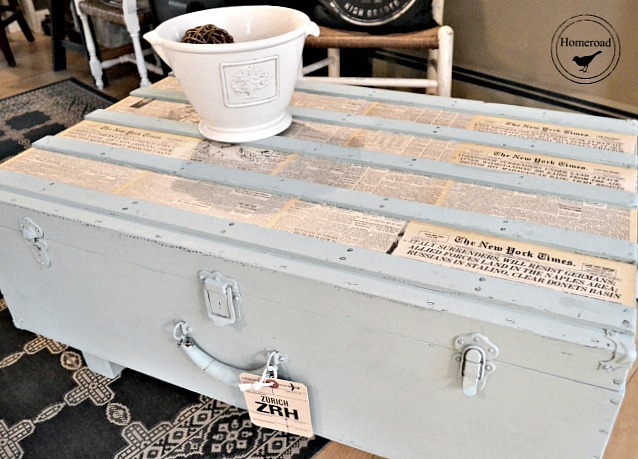 Sometimes all you need is an old trunk to use as coffee table storage, I updated this one with vintage newspapers! #4. 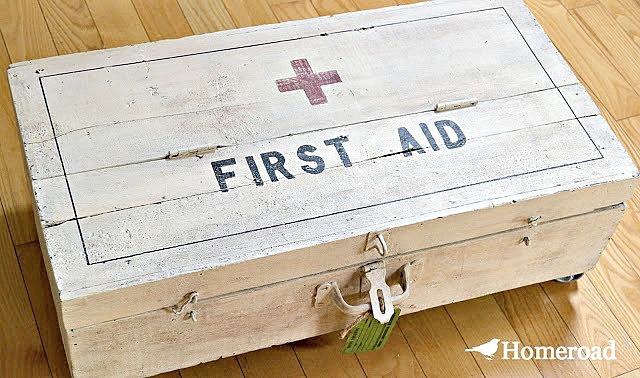 Another fun idea for trunk storage is this First Aid foot locker that I decorated to look like a vintage hospital trunk. I hope you enjoyed my unique storage ideas. 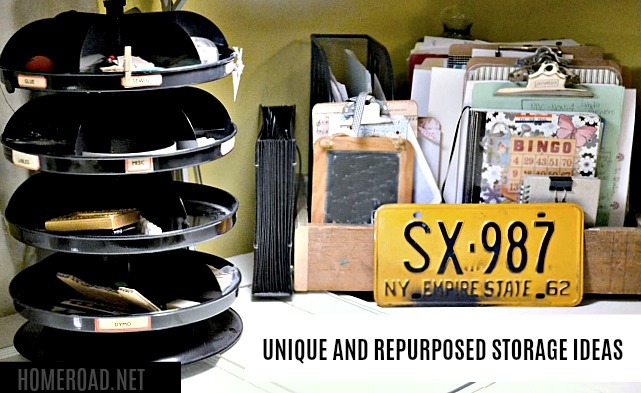 They are easy and inexpensive rustic solutions you can do. 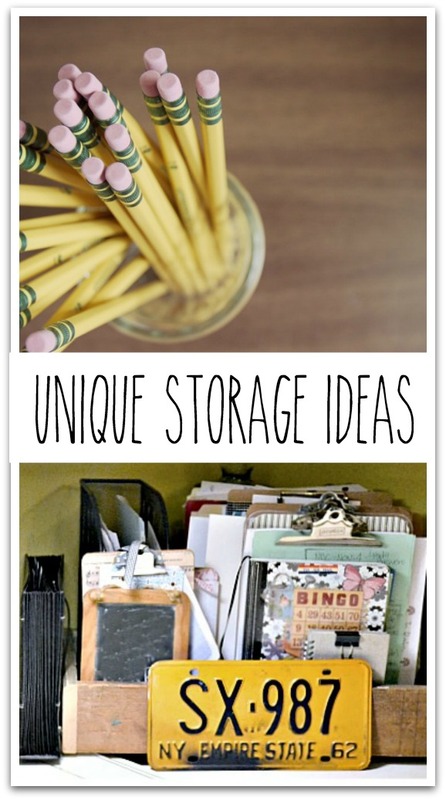 If you are looking for any other unique repurposed ideas you can search the box in my sidebar. You may be surprised!